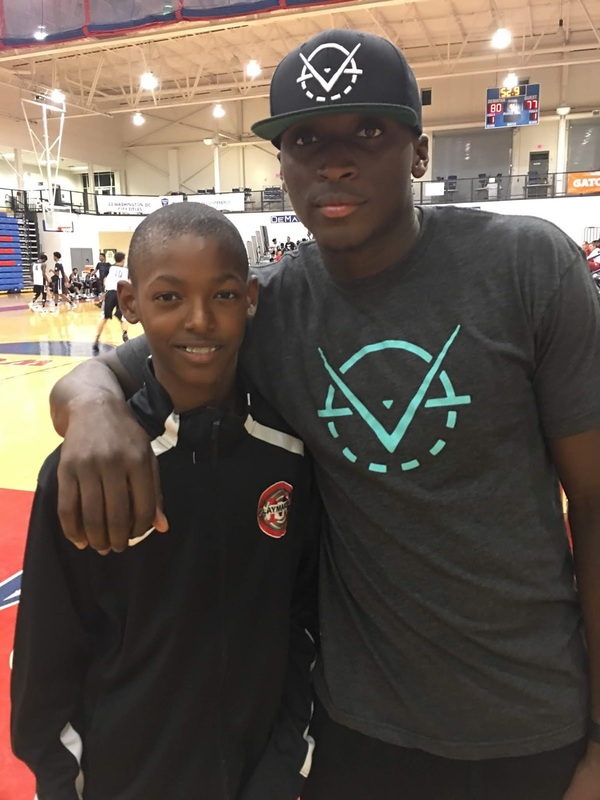 The Basketball Spotlight Future Phenom Camp concluded with the 2nd Annual AGame All American Game. This game featured the Top 20 players from the camp in each class. 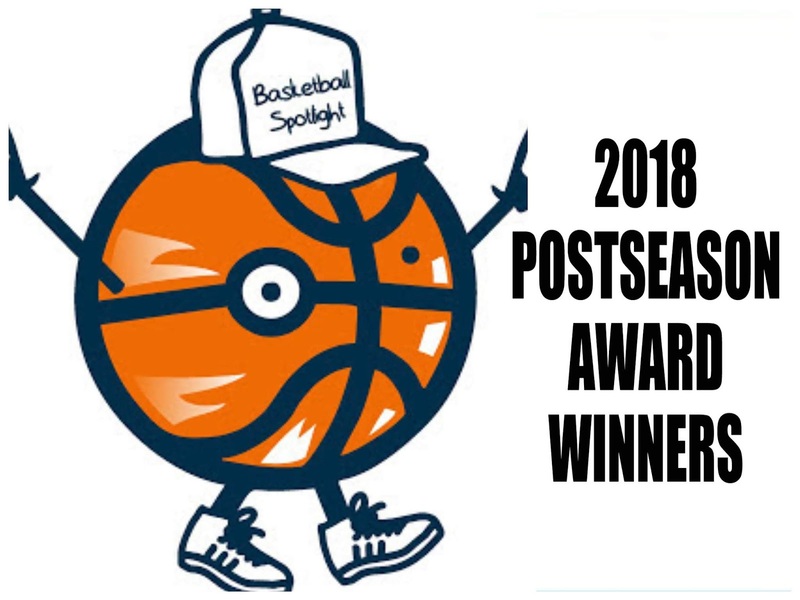 Basketball Spotlight would like to congratulate all of the players they were selected for this game. This is truly an honor. 4th Grader Sean Turner- Savage came from behind nailing 14 out of 20 free throws to win the Basketball Spotlight Future Phenom Camp Free Throw Shooting challenge. 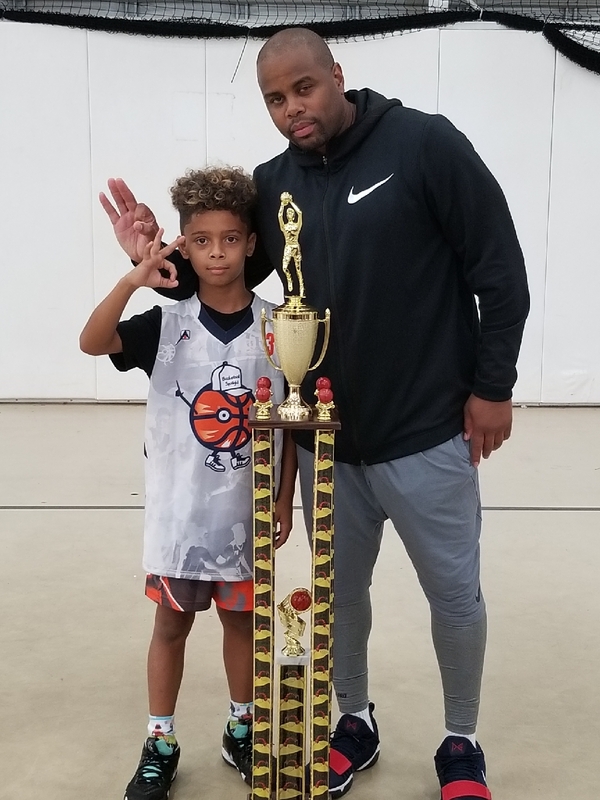 Basketball Spotlight would like to congratulate Sean on winning the contest and driving the camp crazy. 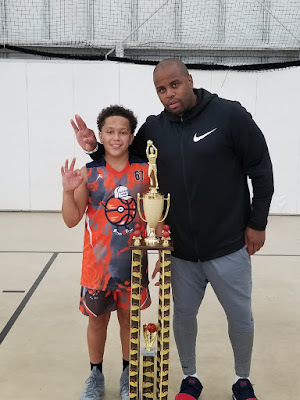 Chance Mallory nailed 13/20 3 pointers to take home the crown at the Basketball Spotlight Future Phenom Camp 3-point contest. 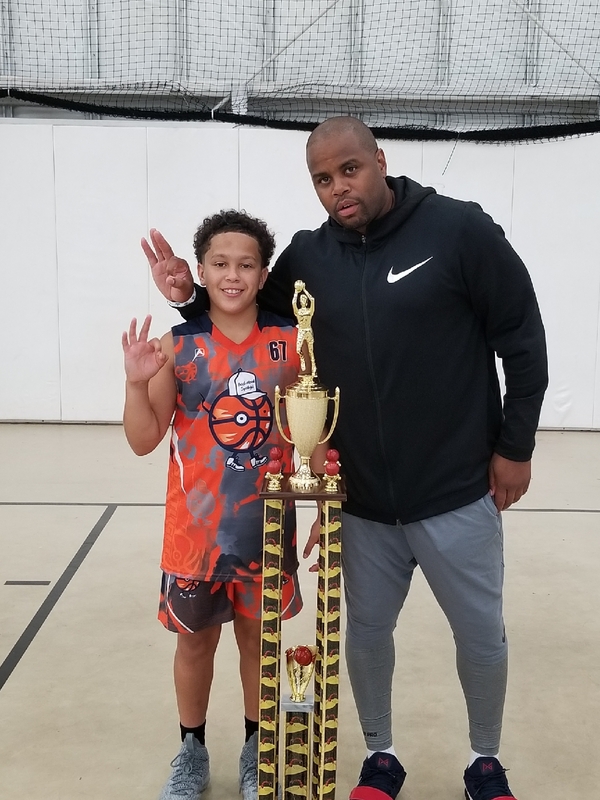 We would like to congratulate Chance on his shooting and winning the huge trophy. Amire Wheeler, Davante Goodine-Rodriquez, Jebron Harris, Judah Hildago, Lucas Scribner, Patrick McDonough, Tamarr Washington, JJ Addison. 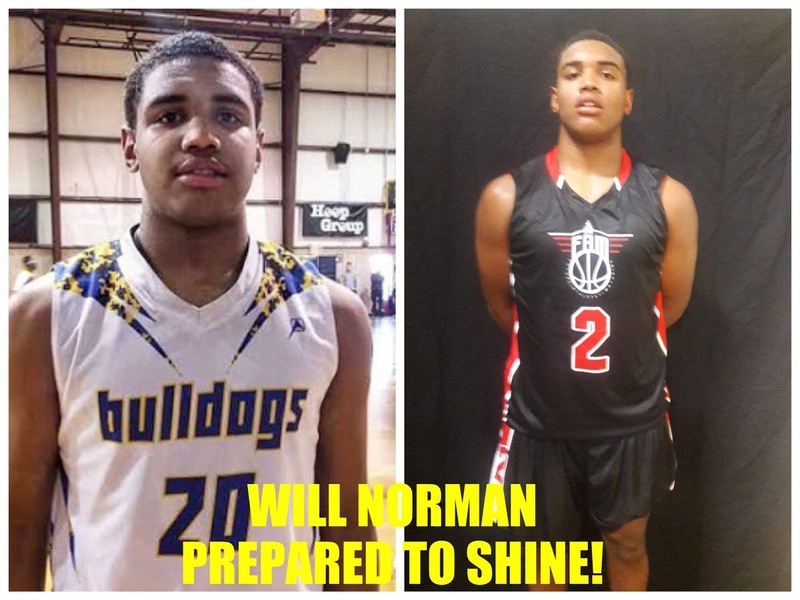 Breakdown: Norman has been a dominant force all season and it wasn’t any difference at the Future Phenom Camp. 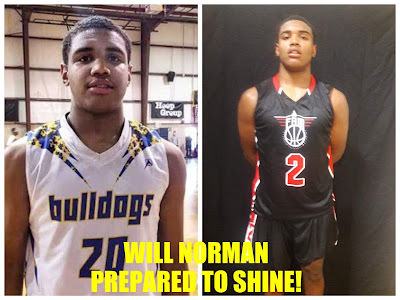 What I love about Norman is that he doesn’t waste time being pretty on the perimeter he knows his bread is buttered in the paint. 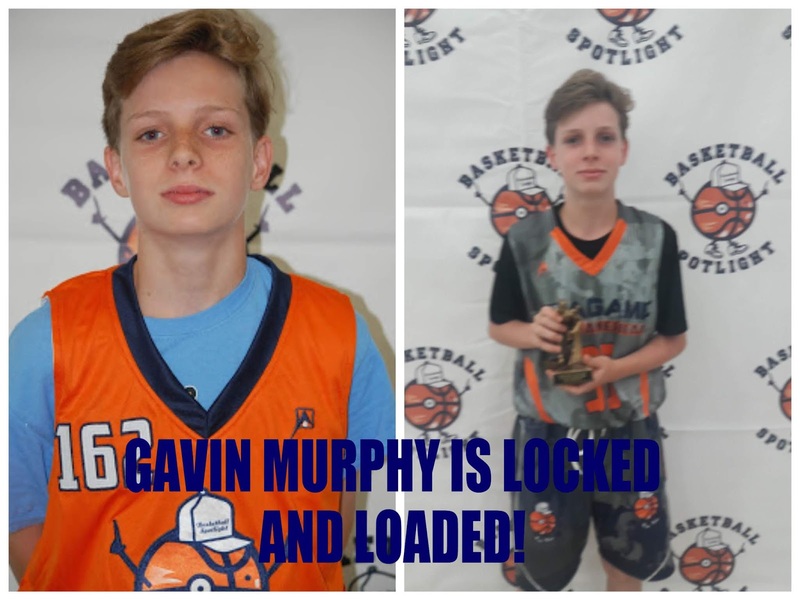 He powered up and over defenders all weekend while leading his team to the championship. He plays with an edge on the court but displays all smiles when the game is over. You had an outstanding season son. Breakdown: Watson was determined to get the MVP jacket and he delivered this past weekend. The wiry forward got in the post and powered his team to the championship. He got buckets along the baseline and in the paint. His long frame was a problem on both ends of the floor. He’s a shot blocker and rebounding machine. 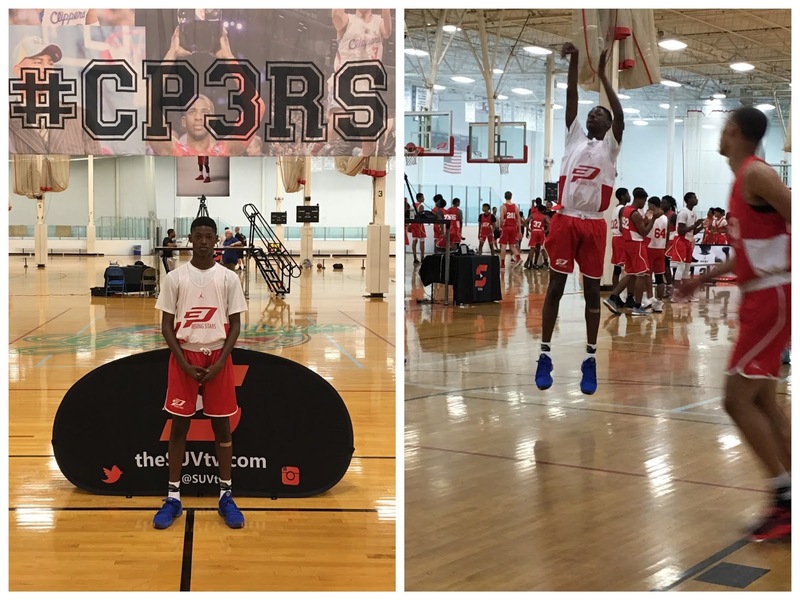 This rising 7th Grade potential is through the roof. Especially when he’s beginning to put the ball on the deck. Breakdown: Harris was runner up for the MVP jacket last summer so this year he returned with a vengeance. The big forward dominated the paint even showing how to finish with his off hand. His improved height made it sort of unfair for opponents. I like how he handled the pill and made plays. Basketball is in his genes and the future looks very bright for this youngster. 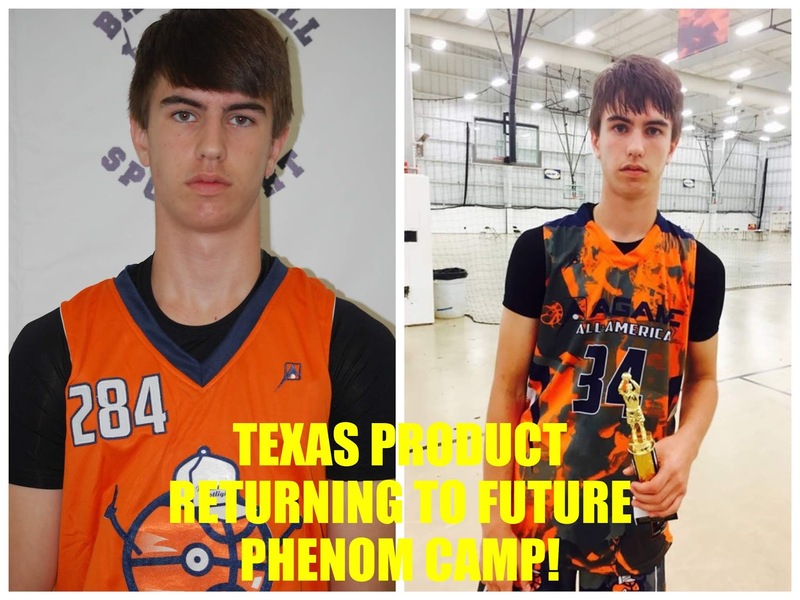 Breakdown: Skyers came to the Future Phenom Camp on a mission and shined. The point guard controlled the flow, scored the rock and showed off moves that make him one of the best floor generals in the country. His poise and court presence cannot be denied. When he played up in a game he still was one of the most dominant players on the floor. The sky is the limit for Skyers. Jonathan Guerrier Throws It Down In All American Game! 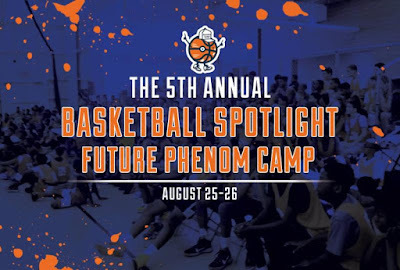 The Basketball Spotlight Tournament Series was amazing this year. It’s now time for us to release our end of the season awards. We would like to thank everyone for their participation and we look forward to seeing you guys next season. Our next stop will be the 6th Grade level. The Basketball Spotlight Tournament Series was amazing this year. It’s now time for us to release our end of the season awards. We would like to thank everyone for their participation and we look forward to seeing you guys next season. 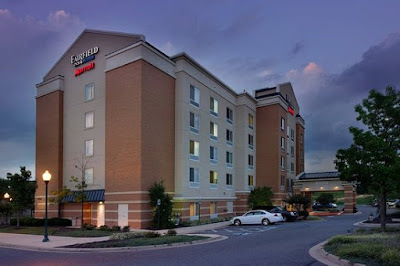 Our next stop will be the 7th Grade level. Welcome to my 8th and final journal entry for Lou Hutchinson. The Basketball Spotlight Tournament Series was amazing this year. It’s now time for us to release our end of the season awards. We would like to thank everyone for their participation and we look forward to seeing you guys next season. Let’s begin with the players that competed on the 8th Grade level. 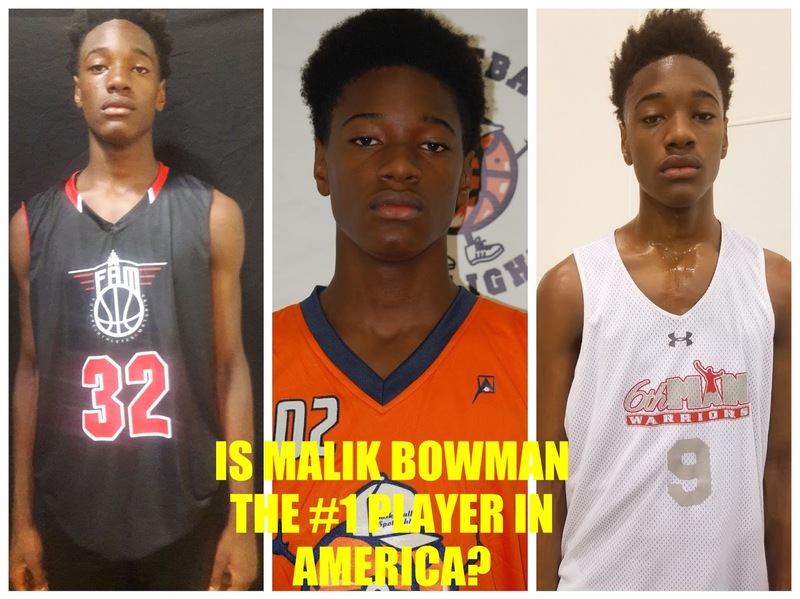 Last summer at the Future Phenom Camp Malik Bowman decided to play up in the Class of 2022 and still performed at a high level. He finished ranked #8 in his class and will be returning this summer chasing that #1 crown. The lefty had a great season on the circuit and even starred in a few camps. To get the #1 ranking he will have to battle likes of Elijah Fisher and Will Norman to name a few. Can Bowman dominate the comp? We will see at the Future Phenom Camp August 25th and 26th.